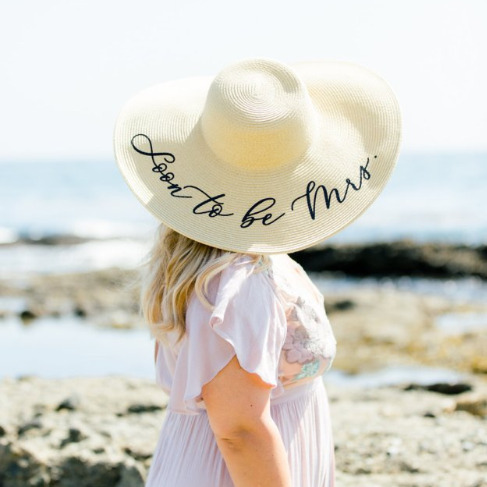 This girl got proposed to in the sweetest way, complete with a seaside table for two, a floral tee pee, and a custom "soon-to-be Mrs." sunhat. 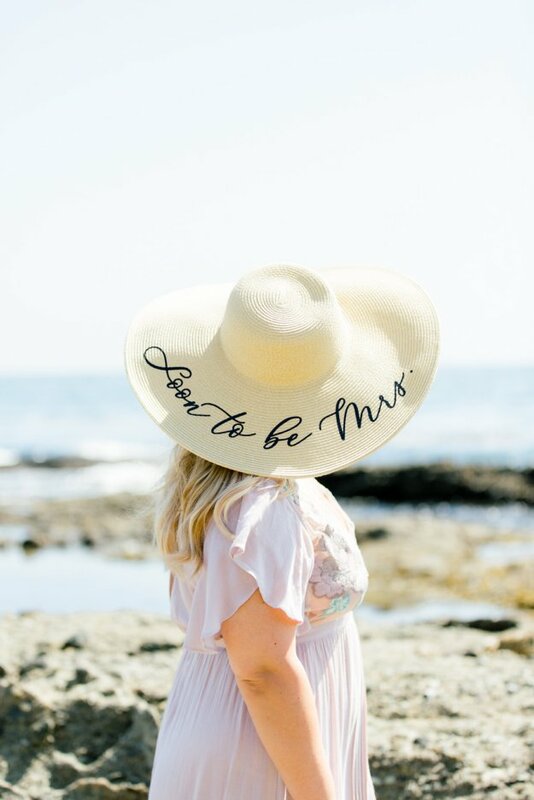 Ellen and Barney are huge Up fans, and Barney knew he had to include the movie in his proposal. 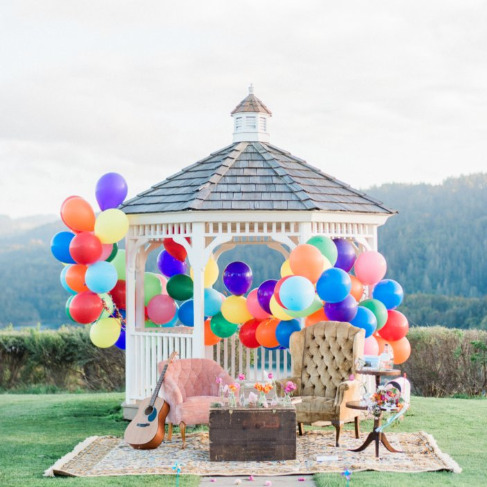 To stick with the theme, we decorated a San Francisco gazebo with balloons, flowers, vintage furniture, an old mailbox, and a custom adventure book of their favorite memories.